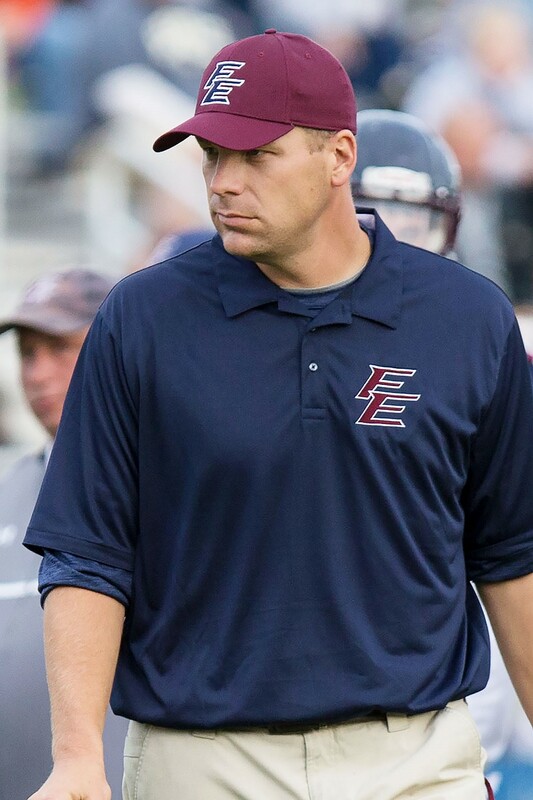 The Buffalo Region Coach of the Week winner for Week 3 of the 2017 season is Chad Bartoszek, head coach of the Franklinville-Ellicottville Titans. Taking on the Maple Grove Red Dragons on the road, the Titans came away with a 26-6 win. 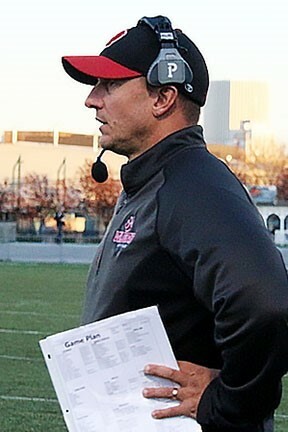 Holding the Red Dragons to a scoreless three quarters and just 20 yards on offense, the Titans redeemed themselves after losing to Maple Grove in the Class D Title game last season. Titans’ senior quarterback Brock Blecha finished the game 16-of-22 for 180 yards passing and managed three rushing touchdowns. The Titans, now 3-0, are set to play Salamanca at home on Friday, Sept. 22. 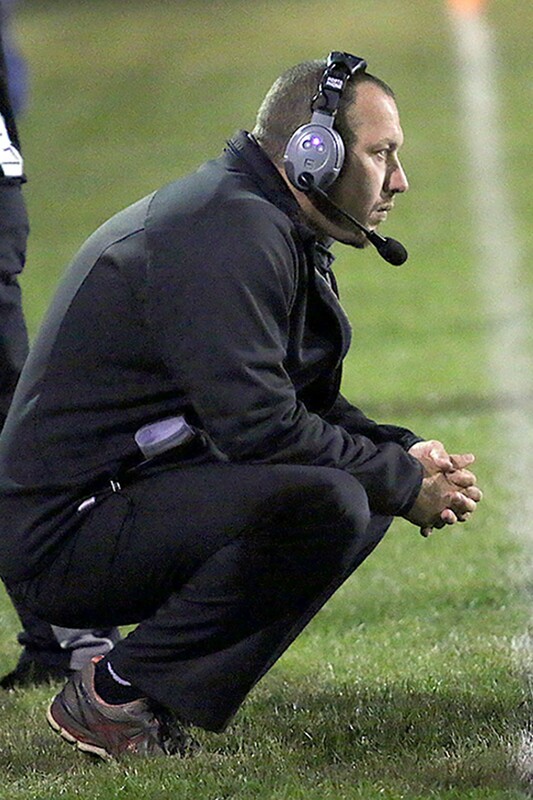 The Rochester Region Coach of the Week winner for Week 3 is Brian Herdlein, head coach of the LeRoy Oatkan Knights. LeRoy took on rival Caledonia-Mumford/Byron-Bergen at home on Friday, Sept. 15. The undefeated Knights found themselves trailing 18-7 late in third quarter. Rallying behind backup quarterback Cole Briggins, the Knights were able to cut into the Red Raiders’ lead. Down 18-13, the Knights put together quite the final drive. Starting at their own 21-yard line with 10:17 left in the game, the Knights marched 79 yards for a game winning touchdown. The 21-play drive lasted 10:08 and ended with a nine-yard touchdown pass to junior wide receiver Reece Tresco. With the win, the Knights advanced to 3-0 on the season. The team’s next matchup will take place on at Avon High School on Friday, Sept. 22. Winning coaches will receive a $1,000 grant for their school’s football program, a framed certificate recognizing their accomplishment, and an invitation to join the Bills on-field Dec. 10 for a pregame ceremony prior to kickoff against the Indianapolis Colts. 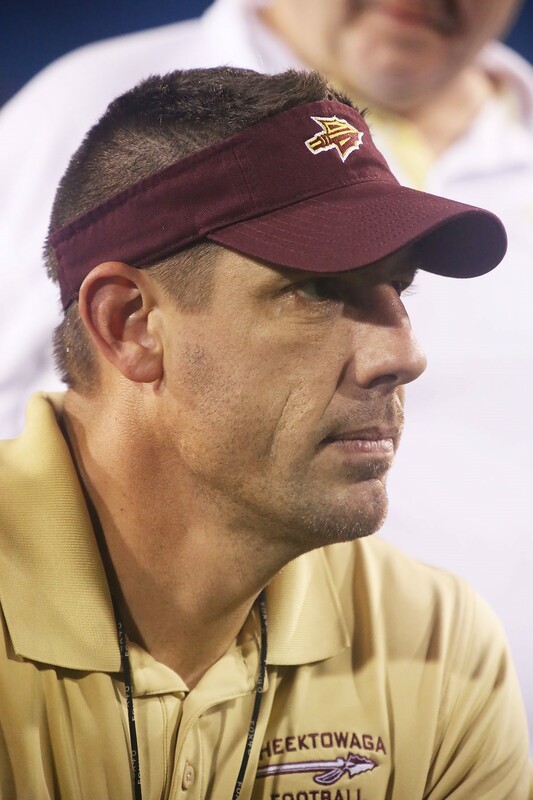 At the game, a High School Coach of the Year will be honored from each region, with those winners receiving an additional $1,000 for their football program. 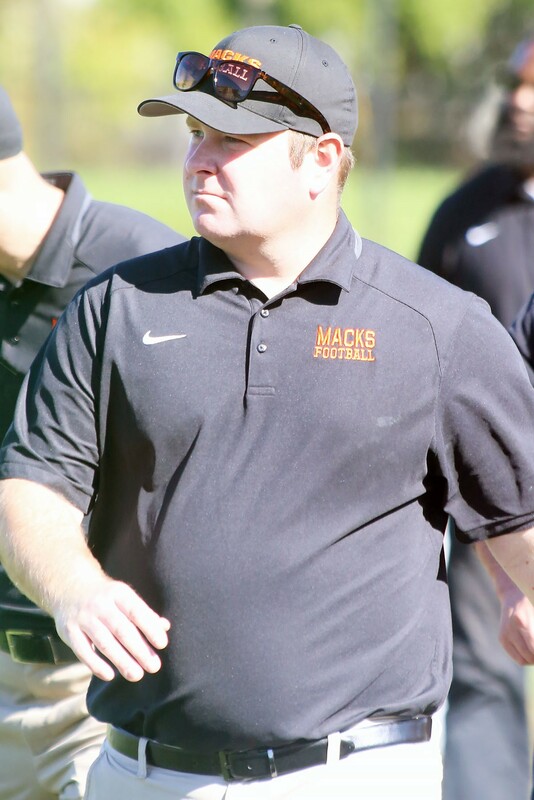 The Buffalo Region Coach of the Week winner for Week 1 of the 2017 season is Brian Hillery, head coach of the McKinley Macks. McKinley defeated the Orchard Park Quakers 25-7 on Friday, Sept. 1. Down by seven at the end of the first quarter, the Macks tied the score on a 65-yard touchdown run by junior RB Kaiyer Fields. Senior DE Troy Coble put the Macks on the board again in the third quarter when he returned an interception 30 yards for a touchdown. 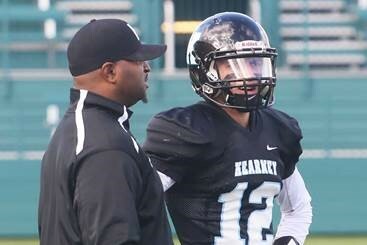 Putting up 25 unanswered points, McKinley advanced to 1-0 on the season. 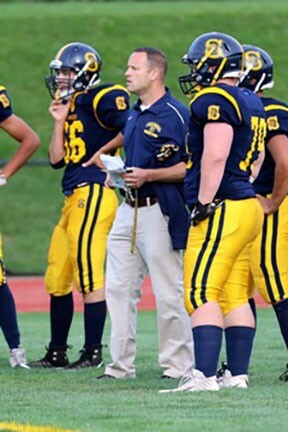 The Rochester Region Coach of the Week winner for Week 1 is John Dowd, head coach of the Spencerport Rangers. Spencerport kicked off the season at home on Friday, Sept. 1, defeating the Penfield Patriots 36-30. Down 21-7 with a minute left in the half, the Rangers scored to put them within seven points of the Patriots. 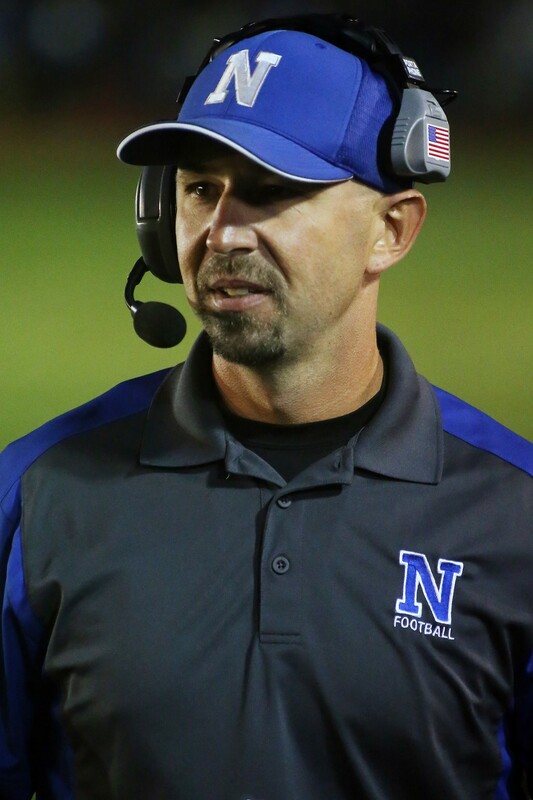 Down most of the game, the Rangers put together a successful punt fake on fourth-and-five, resulting in a 36-yard completion to set up a scoring drive. Scoring a pair of touchdowns in the fourth quarter, the Rangers found themselves with a 36-28 lead. Spencerport senior running backs Alton Jones and Chris Carroll combined for nearly 300 yards rushing and five touchdowns in the Rangers’ 36-30 victory. 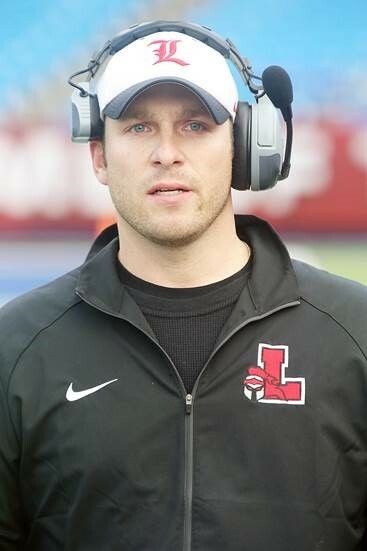 The Buffalo Region Coach of the Week is Eric Rupp, head coach of the Lancaster Legends. 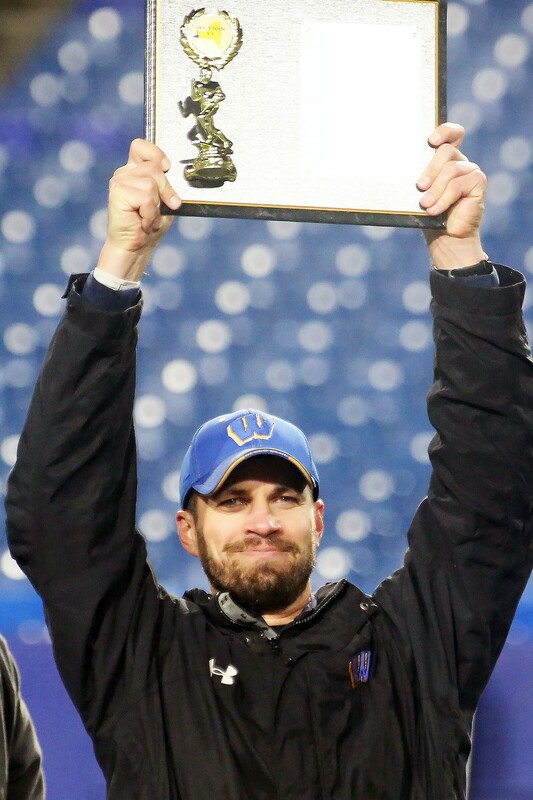 On Friday, Nov. 4, Lancaster took on Orchard Park in the Section VI – Class AA championship. The Legends put on a dominant performance, resulting in a 27-7 victory over the Quakers and the team’s first title since 1999. Leading the way for the Legends on offense was junior quarterback Ryan Mansell who compiled 154 yards passing and a touchdown. On defense, Lancaster held Orchard Park scoreless until the fourth quarter. With the win, the 10-0 Legends will advance to the Far West Regionals against Victor. 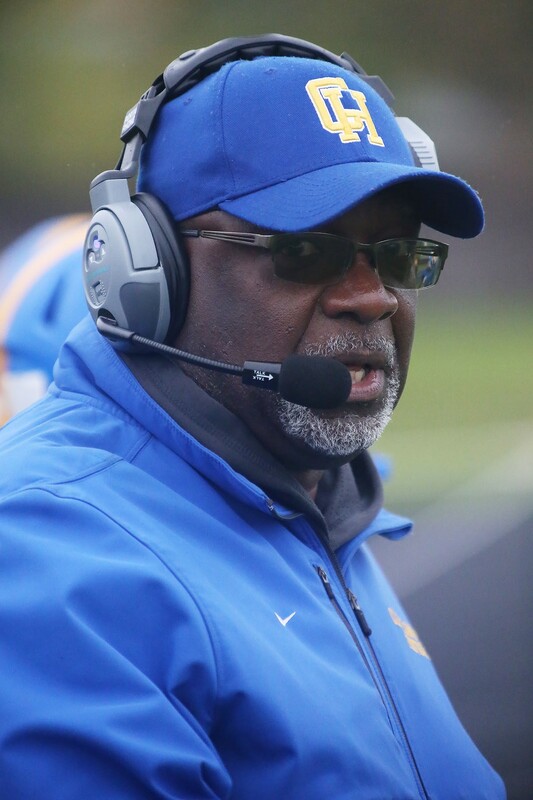 The Rochester Region Coach of the Week is Tim Sawyer, head coach of the Alexander Trojans. The Trojans faced the Clyde-Savannah Golden Eagles in the Section V – Class D championship game on Friday, Nov. 4. The Trojans, led by senior quarterback PJ Brennan, defeated the Golden Eagles 19-6 to claim the school’s first sectional title. Brennan finished the game with two touchdowns on the ground and another through the air. On defense, sophomore cornerback Chris McClinic, helped the Trojans secure the win with an interception. The victory propels the Trojans to 10-0 on the season and solidifies the team’s spot in the upcoming Far West Regionals against Maple Grove. Check back on Buffalobills.com each week for the announcement of the Coach of the Week winners and tune in to the John Murphy show each Tuesday afternoon to hear the winners announced on the show. All Coach of the Week winners will receive $1,000 for their high school football program and will be recognized on-field prior to the Bills vs. Browns game on December 18. Good luck to all of the high school football coaches this season from the Buffalo Bills and ADPRO Sports! 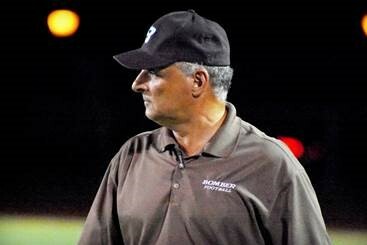 The Buffalo Region Coach of the Week is Mike Sarratori, head coach of the Dunkirk Marauders. On Friday, Oct. 28, Dunkirk took on Lackawanna on the road in the Class B Semifinals. The Marauders proved dominant throughout the game, securing a 38-8 win over the Steelers. Leading the way for the Marauders on offense was senior running back Alton Ingram who managed 161 yards rushing on 23 carries and two touchdowns. On defense, senior defensive back Tyreek Buchanan-Ruiz picked off Lackawanna quarterback Dominic Wright. The win propels Dunkirk to 7-2 on the season. The next stop for the Marauders will be the Section VI Class B Championship, where they will take on Cheektowaga at New Era Field on Saturday, Nov. 5. 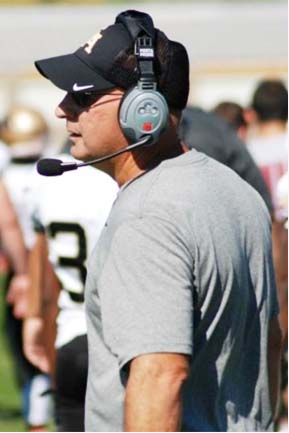 The Rochester Region Coach of the Week is Dennis Greco, head coach of the East Rochester Bombers. The No.1 ranked Bombers took on No. 4 Bath in the Section V Class C Semifinals on Saturday, Oct. 29. In a close contest, East Rochester came away with a 14-8 victory over Bath to advance to 9-0 on the 2016 campaign. On offense, running back Cameron Cleveland delivered for the Bombers with 171 yards rushing on 39 carries for two touchdowns. 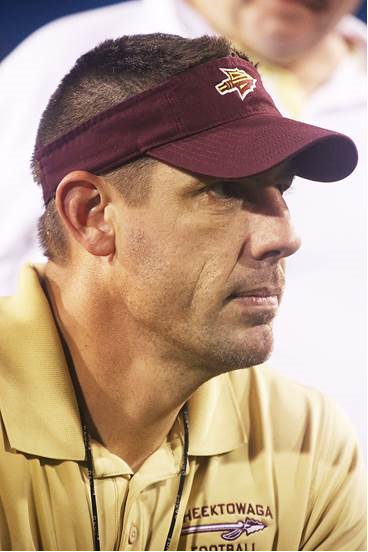 On defense, Corey Chiccino accumulated 20 tackles on the game. The Bombers will move on to the Section V Class C Championship game against Bishop Kearney on Saturday, Nov. 5. 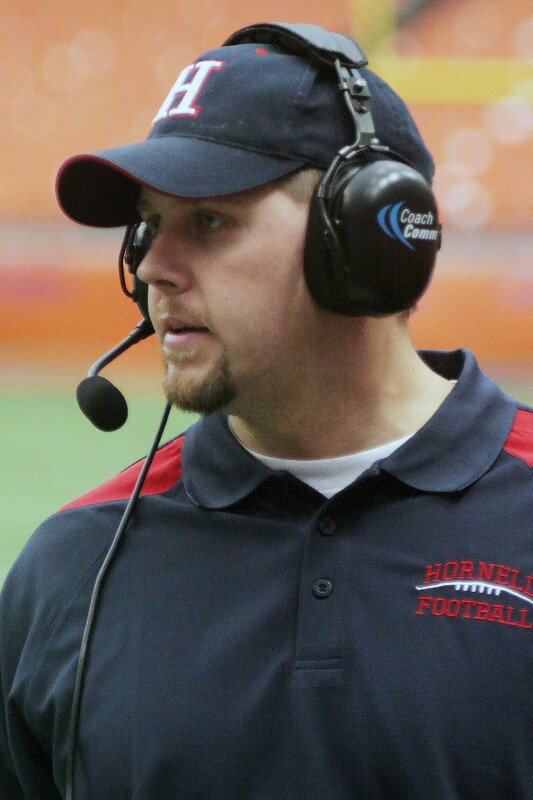 The Buffalo Region Coach of the Week for Week 8 is Adam Tardif, head coach of the Lackawanna Steelers. On Friday, October 21, Lackawanna traveled to Medina/Webber to take on the top-ranked Mustangs. 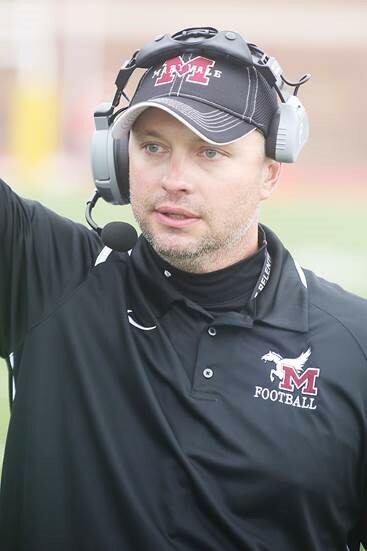 Coming into the Class B playoff contest, the Mustangs were favored. Pulling off an upset, the Steelers defeated the Mustangs 16-8. For the Steelers, junior wide receiver/ cornerback London Smith compiled two touchdowns receptions, seven tackles and an interception. With the win, the Steelers will advance to the next round of the 2016 Section VI Class B playoffs against the Dunkirk Marauders. 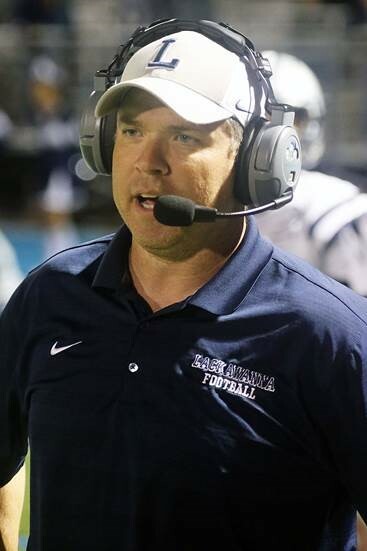 The Rochester Region Coach of the Week for Week 8 is Eddie Long, head coach of the Bishop Kearney Kings. On Saturday, October 22, Bishop Kearney secured a big win over the Marcus Whitman Wildcats. 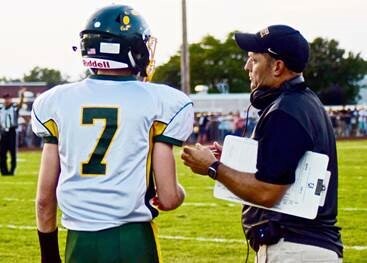 The Class C playoff game resulted in a final score of 30-7 with the undefeated Kings coming out on top. Leading the way for Bishop Kearney on offense was senior halfback Dahmir Pross, who had 22 carries for 176 yards rushing and two touchdowns. On defense JaKarri Buckner recorded eight tackles on the game. 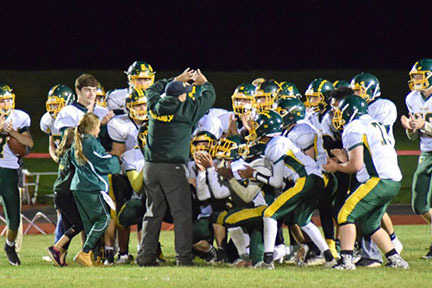 The victory will propel the 8-0 Kings to the next round of the Section V playoffs against the Attica Blue Devils. 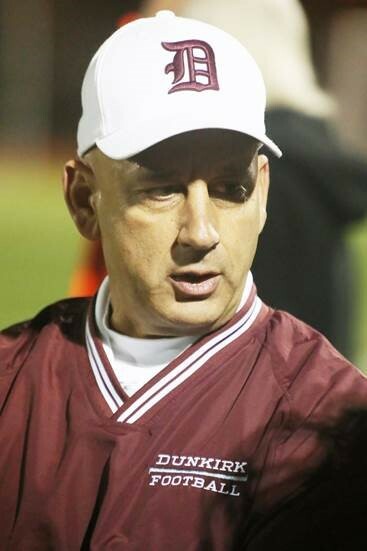 The Buffalo Region Coach of the Week for Week 7 is Mike Fatta, head coach of the Cheektowaga Warriors. On Friday, Oct. 14, Cheektowaga took on rival Maryvale at home. Coming into the contest, both teams were undefeated at 6-0. After a hard fought game on both sides, Cheektowaga came away with a 34-26 victory over Maryvale in overtime to propel the Warriors to a perfect 7-0 on the season. 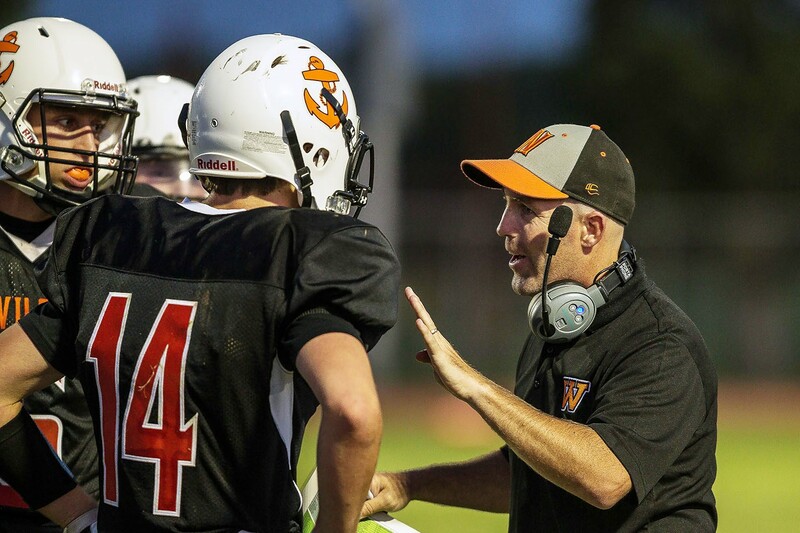 Leading the way for the Warriors on offense was senior quarterback Eric Bartnik who put up 178 yards and three touchdowns on the ground, and another 345 yards passing for two touchdowns. On defense junior cornerback Alekzander Bryant put the game away when he intercepted Maryvale on a critical fourth down in OT. The Warriors, who have now clinched the B West Division title, will host Burgard for a playoff game on Friday, Oct. 21. 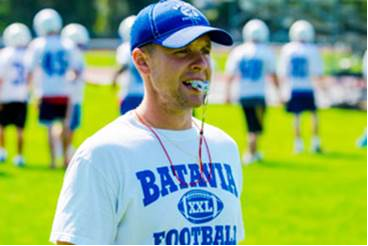 The Rochester Region Coach of the Week for Week 7 is Brennan Briggs, head coach of the Batavia Blue Devils. On Friday, Oct. 14 the Blue Devils traveled to Clyde-Savannah for a non-conference matchup. After a scoreless first half, the game went into triple-overtime. In the end, Batavia came out on top defeating Clyde-Savannah 40-34. With the win, the Blue Devils are 7-0 for the second consecutive season. Leading the way for the Blue Devils on offense was sophomore running back Ray Leach who compiled four rushing touchdowns on the night. On defense, junior defensive tackle Anthony Ray finished the game with eight tackles and a sack. Batavia’s next contest is set for Friday, Oct. 21 at home against University Prep. 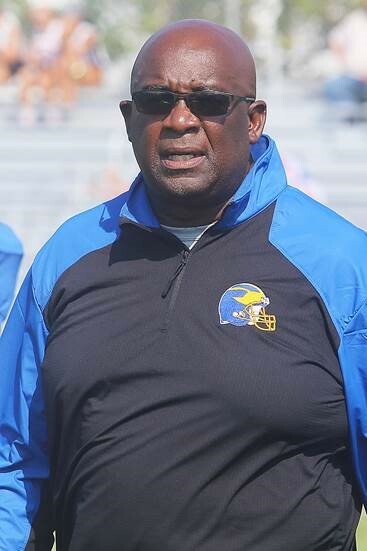 The Buffalo Region Coach of the Week for Week 6 is Glenn Graham, head coach of the Cleveland Hill Golden Eagles. On Saturday, October 8, the Golden Eagles took on the Medina/Webber Mustangs at home. Coming into the contest, Cleveland Hill of Class C was ranked 10th in New York State and Medina/Webber of Class B was ranked 14th in the state. The matchup proved to be a low scoring defensive battle with Cleveland Hill coming out on top with a final score of 8-6. Leading the way for the Golden Eagles on defense were senior defensive lineman Nathan Pawlowski and junior defensive end Manny Al-Hemyari, who were each credited with two sacks on the game. On offense, senior quarterback Tyler Phillips put up 63 yards rushing and a touchdown. Cleveland Hill’s next game is set for Saturday, October 15 at Kennedy High School. 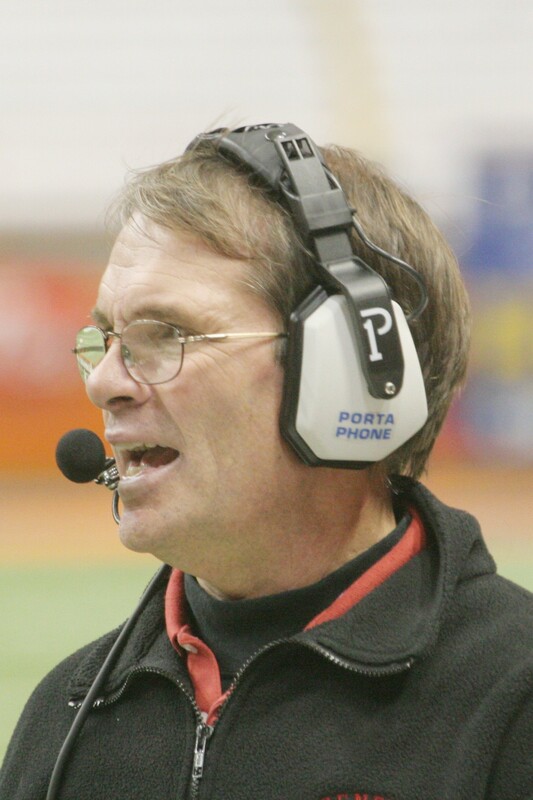 The Rochester Region Coach of the Week for Week 6 is Joe Marchand, head coach of CG Finney high school Falcons. 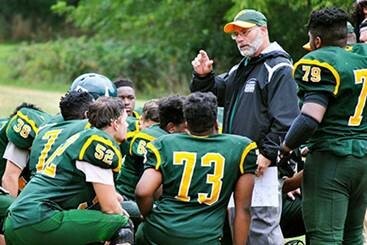 On Saturday, October 8 the Falcons took on the Pembroke Dragons on the road. Coming into the contest, the Falcons were undefeated at 5-0. After a complete team effort, the Falcons defeated the Dragons 35-13 to propel CG Finney to 6-0 on the season. On offense, running back Cameron Odom put up 155 yards rushing for two touchdowns to put the Falcons in position to win the game. On defense, Maalik Thomas contributed with nine tackles. The Falcons will take on Alexander on the road on Friday, October 14 for the team’s next matchup. 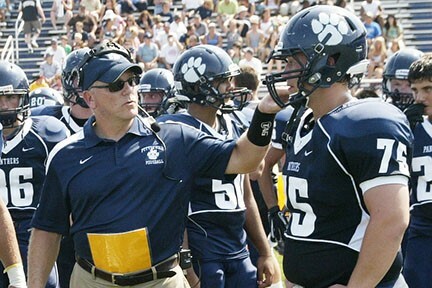 The Buffalo Region Coach of the Week for Week 4 is Jeff Buccieri, head coach of the Maryvale Flyers. Maryvale took on Burgard on the road on Saturday, October 1. The Flyers fell behind early in the game and stared down a 20-0 deficit with five minutes left in the first half. Rallying late the second quarter, Maryvale scored 15 points to get back in the game. Freshman quarterback Connor Desiderio connected with junior wide out Dylan Casey for three touchdowns to lead the comeback. On defense, senior cornerback Nakeem Ubaydah came up with an interception. In the end, Maryvale defeated Burgard 28-26. Maryvale, now 5-0 on the season, is set to face Newfane on Friday, October 7. 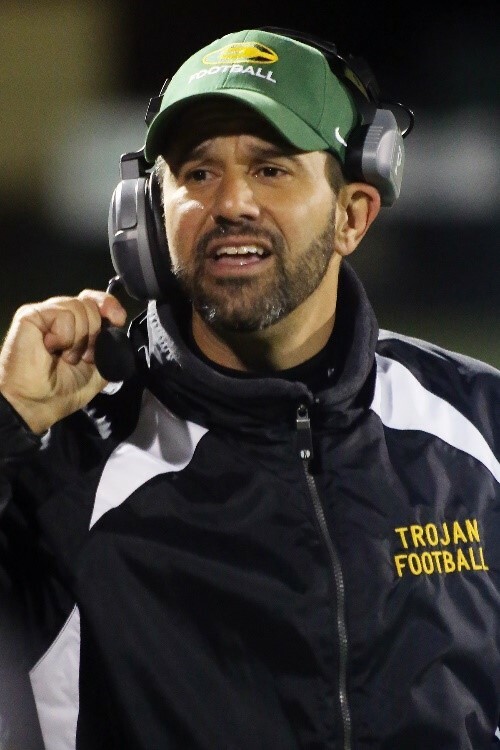 The Rochester Region Coach of the Week for Week 4 is Rob Cerone, head coach of the Greece Athena Trojans. On Friday, October 1, Greece Athena traveled to Brighton for a conference matchup. Coming into the contest, both the Trojans and Barons were undefeated at 4-0. Leading the way for the Trojans on offense were senior quarterback Tavon Granison and senior wide receiver Kenny Speed. Granison connected with Speed for two touchdowns to help Greece Athena come away with a 28-21 win over Brighton. Defensive standouts for the Trojans include senior defensive end Isreal Dudley, who finished the game with 1.5 sacks, and senior cornerback Thaj Avies who had an interception. The win propelled the Trojans to 5-0 on the campaign. Greece Athena’s next game against Irondequoit is set for Friday, October 7. 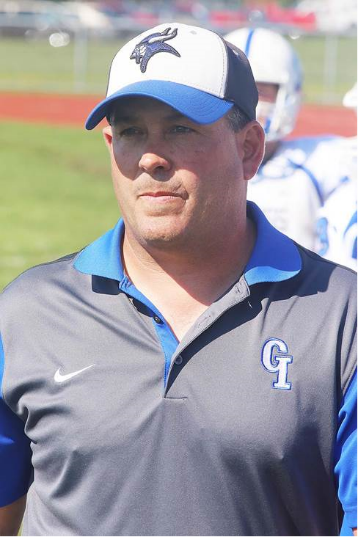 The Buffalo Region Coach of the Week for Week 3 is Dean Santorio, head coach of the Grand Island Vikings. Playing the North Tonawanda Lumberjacks on the road on Friday, September 23, Grand Island put together a 38-35 comeback win. Down 21-0 early in the second quarter, the Vikings rallied behind quarterback Conner Buzby, who put up 357 yards passing and four touchdowns, to come away with the victory. The Vikings, now 3-1, are set to face Williamsville East on Friday, September 30. 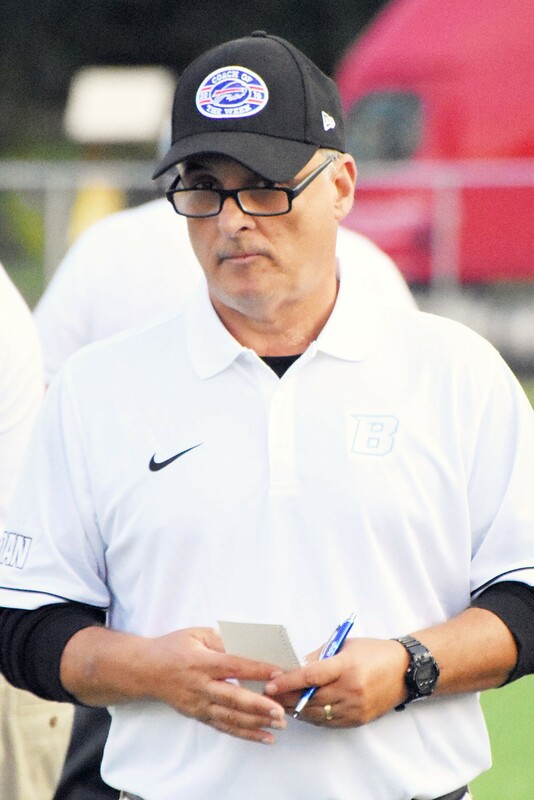 The Rochester Region Coach of the Week for Week 3 is Steve Lian, head coach of the Brighton Barons. On Saturday, September 24, Brighton took on Canandaigua on the road. Coming into the contest, both teams were undefeated at 3-0. After a strong Brighton performance, led by quarterback Shea McDonald, the Barons upset Canandaigua 21-20 to move to 4-0 on the season. Brighton’s defense also contributed significantly to the win, as the unit came up with a big interception on Canandaigua’s two-point conversation attempt. Brighton’s next matchup will take place at home on Friday, September 30 against Greece Athena.